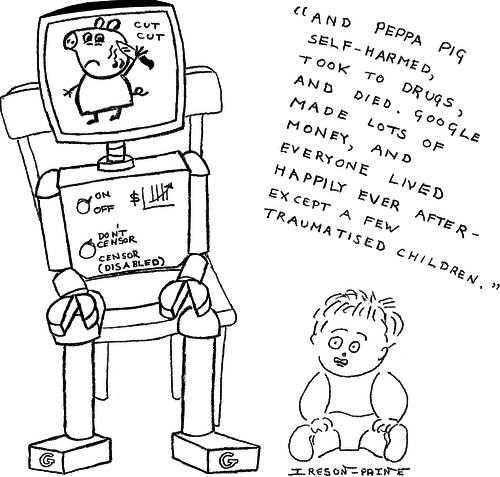 A Google Babysitter robot sits on a chair, with a TV screen in its head showing the notorious video of Peppa Pig self-harming. A scared toddler gazes at screen. The robot is narrating, "And Peppa Pig self-harmed, took to drugs, and died. Google made lots of money, and everyone lived happily ever after — except for a few traumatised children."